This horrible wind that has been blowing for the past week is gone and the sun showed her smile in the past two days! 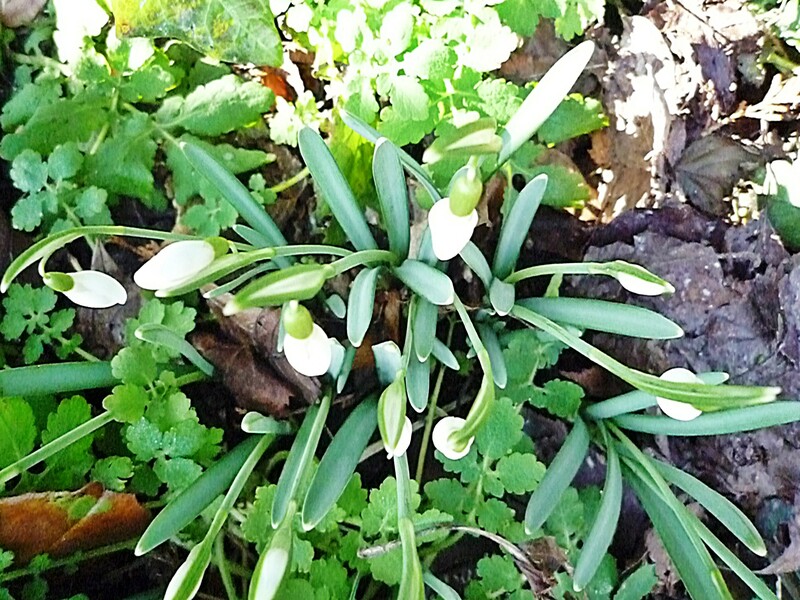 The first snowdrops are flowering; how they do it in this cold is a mystery to me. My cat is even losing her hair as if to show me that a scarf, hat and gloves are not necessary anymore but let’s not be hasty, it’s just the beginning of February, it’s winter. Even though nature comes to life again when the temperature is well above zero degrees, the vegetables are not yet to be persuaded, there is still a big chance of frost. We have to live of cabbage, potato’s onions etc for some time still or, if we can’t resist, eat a water inflated tomato bomb. I’m not a big cabbage fan but it is what the land offers us in this time of the year. Hence my mission became: how to make something tasty out of a cabbage. 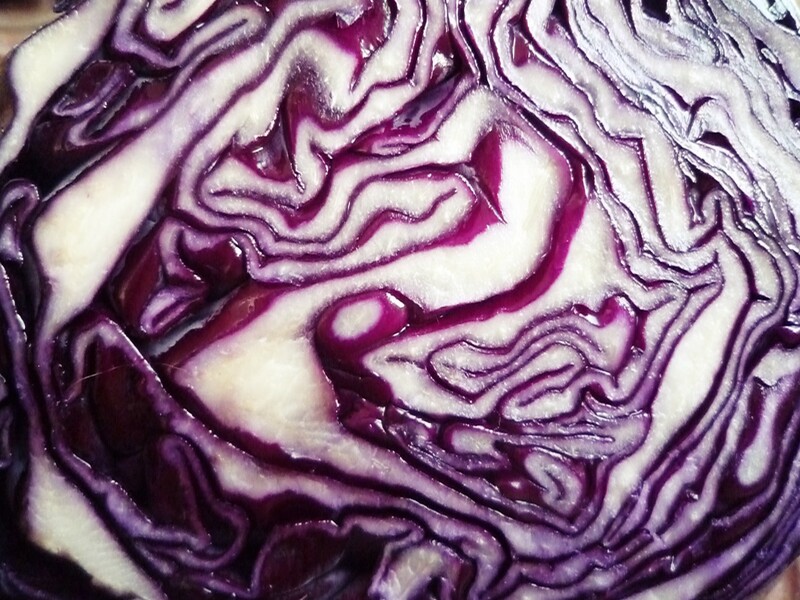 Cut some red cabbage into very thin stripes. Do the same for an equal amount of lettuce. With a fork mince some fettah and add some sesame seeds, olive oil, lemon zest, black pepper and za’tar. 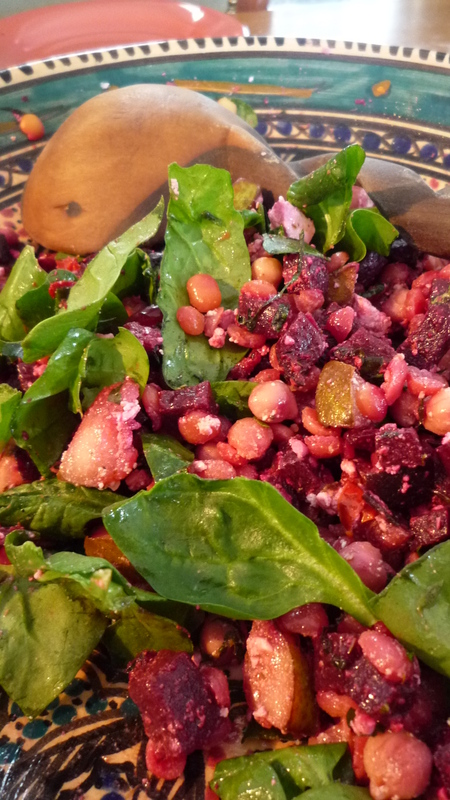 Mix everything together well and add some juicy green olives. 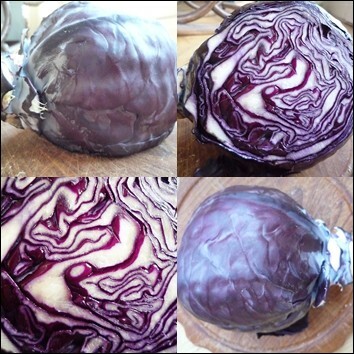 Cut the red cabbage in very thin stripes. Do the same for the lettuce. Cut cucumber in long, small stalks. In a bowl mix together a tablespoon of tahina, 4 tablespoons of lemon juice, salt, a minced garlic clove, a tablespoon of sesame seeds and a tablespoon of yogurt. Add enough water to make a dressing. Mix well, it will get lumpy first but this will straighten out if you keep on stirring. Mix everything together.